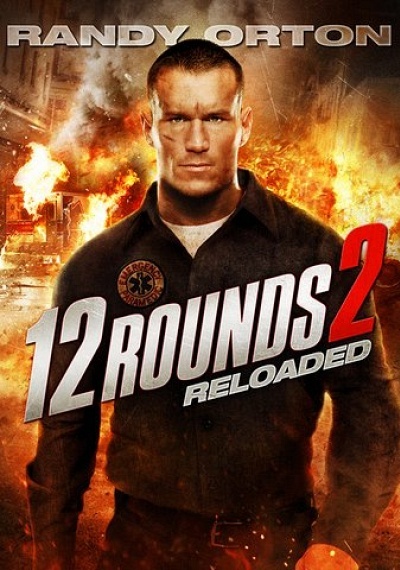 12 Rounds 2: Reloaded :: Movie Information :: RabbitTV GO! WWE superstar Randy Orton slams action into overdrive in this pulse-pounding thrill ride filled with gripping suspense! Paramedic Nick Malloy (Orton) is plunged into a deadly game of cat and mouse when he receives a terrifying phone call from a vengeful psychopath (Brian Markinson) connected to his past. The maniac threatens to unleash a murder spree unless Nick can complete a series of 12 challenges without involving the cops or missing a single deadline. With no time to spare — and his own wife's life on the line — Nick must piece together cryptic clues and hunt down the killer before it's too late!